Fiber Optic Splicing Companies in UAE. Put in the layman language, fiber optic splicing is combining two fiber optic cables to extend the length. If you are new to the subject of fiber optic cables, here’s a quick reference. The fiber optic cables are highly recommended and used in the LAN connections, telecommunications, and networking projects. The fiber optic splicing itself is a wide topic of which the technicians have a fair knowledge. However, what we need to understand and to brush up your knowledge on fiber optics is that this cable is widely used for long-distance networking and WAN. Also, fiber optics does exceptionally well where the external interference is an issue. Now, getting back to fiber optic splicing, there are two types of splicing – the fusion splicing and the mechanical splicing. Before, we get into the intricacies; there is another way of networking using fiber optics, which is the termination method. In this blog, let’s find out why and where to use the fiber optic splicing as opposed to the fiber optic termination. The first and the main difference between the fiber optic splicing and fiber terminations is the splicing is ideally used for long distances connections and outdoor connections as compared to the termination method. While the fiber optic splicing can further be classified into fusion splicing and mechanical splicing, the termination method is further categorized into factory pre-terminated and field terminations. With fiber optic splicing, the cable is enabled to run much longer distances as compared to the termination. Splicing offers the lowest loss and low reflectance as compared to the termination. The reflectance is basically the amount of light that is reflected back towards the source instead of traveling towards the destination. 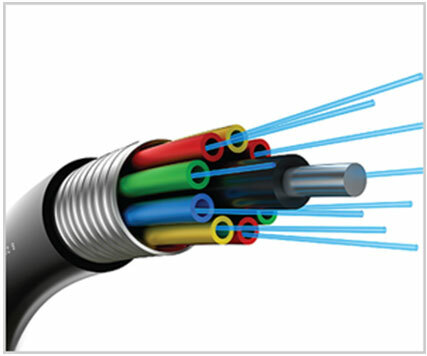 For those who do not know, the fiber optic cable basically transfers the data in form of light pulses. Cost of termination methods is much higher due to the use of the connectors. While the fusion splicing is essentially a permanent join between the fiber optic cables where they are clamped together using a fusion splicing machine, the mechanical splicing is relatively temporary and an adhesive is used to splice the cables. In either which way, the splicing is relatively a cheaper option. Identifying the right method of fiber optic cabling is highly essential to save cost, time and effort. Our team of passionate technicians at VRS Tech, which provides fiber optic splicing services in Dubai, are more than happy to help you out with the right type of fiber optic cabling methods that suits your business requirement. Contact us at +971-56-7029840 or visit our website www.vrstech.com for more details.